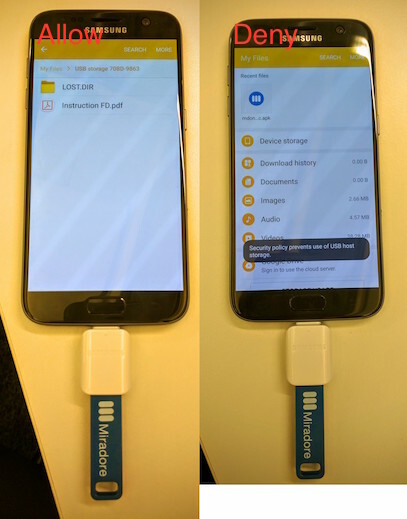 We have added support for denying USB host storage and USB debugging on devices supporting Samsung KNOX. 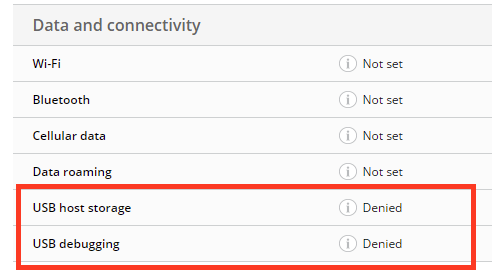 These can be specified in Android Restrictions (Samsung) configuration profile. USB debugging restriction requires Miradore online client version 2.3.15 or newer. USB host storage deny shown in picture below. User is informed, that security policy prevents using USB host storage. 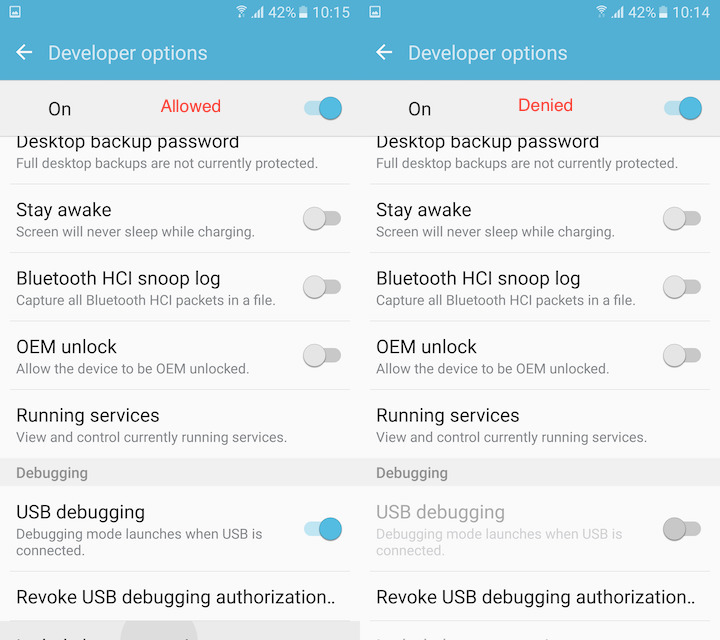 USB debugging restriction prevents enabling USB debugging in the developer options. Also disables USB debugging, if the device is already connected to a computer via ADB. 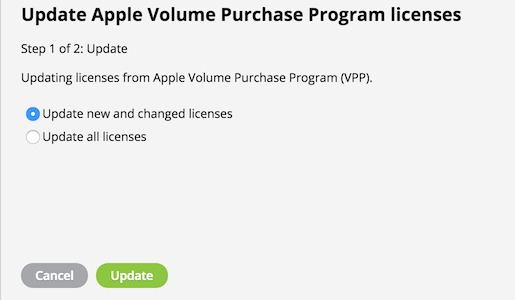 We have added an option to sync all licenses from Apple VPP. This might become handy, if partial sync doesn't sync all recently purchased licenses.